Bethany Hartford, the new Keyhole director. Youth Ministries of Bourbon County Inc, known as the Keyhole, has a new director. Bethany Hartford, 24, became the director in March 2018. Hartford has lived in Fort Scott for 14 years and has worked with the youth group at her church, Fort Scott Church of the Nazarene, for about three years, she said. She formerly worked at the Common Grounds Coffee Shop and saw a flyer on the bulletin at the shop of the position and applied. 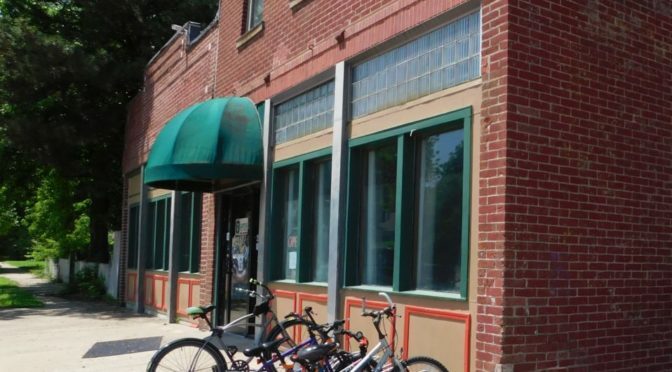 The Keyhole is located at 1002 S. Main, across from Fort Scott High School and targets middle school through high school youth. “The Keyhole is a place to hang out with friends,” Hartford said. The Keyhole offers gaming systems, board games, ping pong, pool and an outside basketball hoop, in addition to a concession stand. 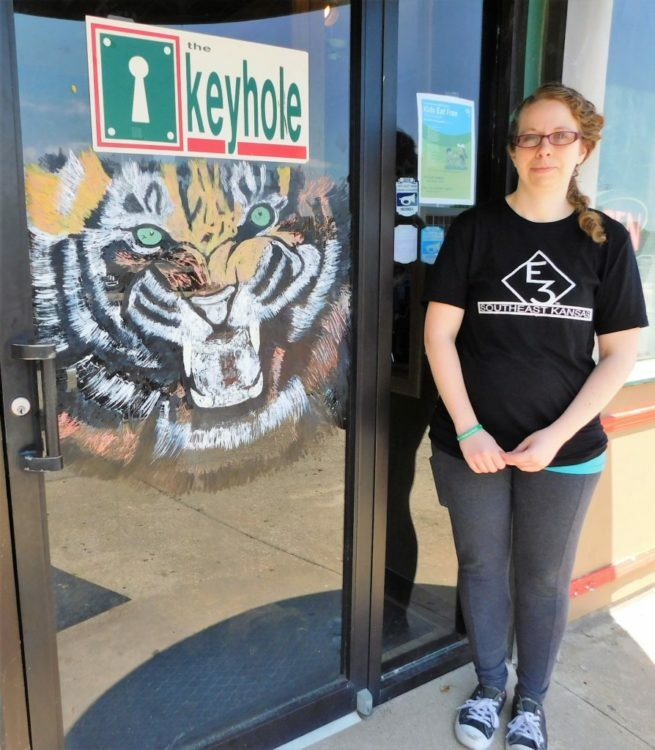 Caring, adult volunteers are always needed at the Keyhole, Hartford said. The phone number is 620-223-4700. This month through July 29 from noon to 1 p.m. free sack lunches are available at the site as well. Thursday the Keyhole hosted the Fort Scott Chamber of Commerce weekly coffee, with Keyhole board members present. Board member Ben Workman said the goal of the ministry is to instill Godly principals in the lives of the youth. The Keyhole Board of Directors listens as Ben Workman, member, shares about the ministry. From left, president Tim Harper, Judy Hood, Workman, Hartford and Dona Bauer. Not pictured are Marge Madison, Kenny Felt, and Ryan Goodbody. 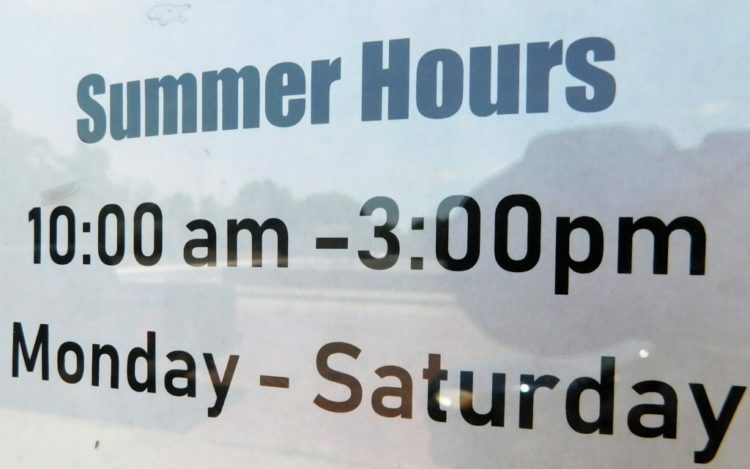 Summer hours of the Keyhole. 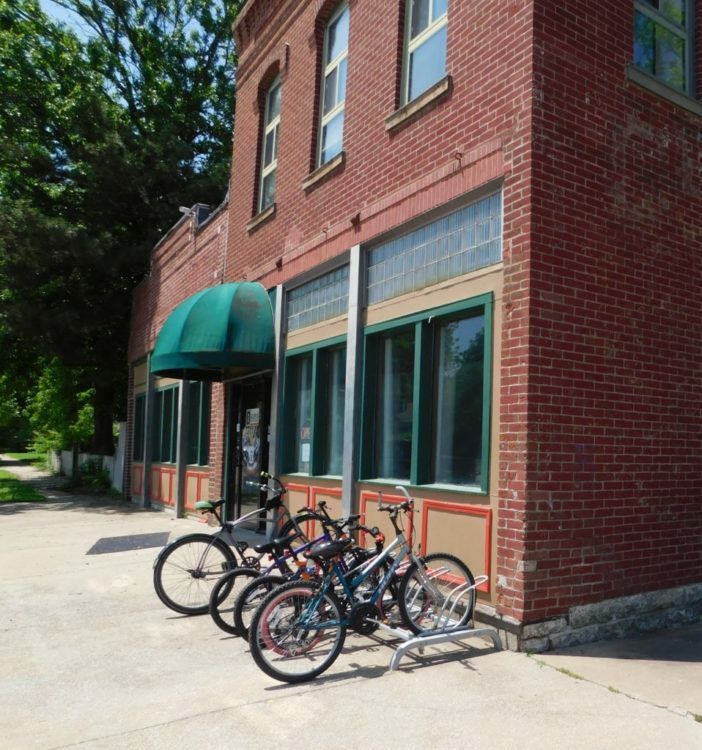 The Keyhole is a youth activity center located across from Fort Scott High School.